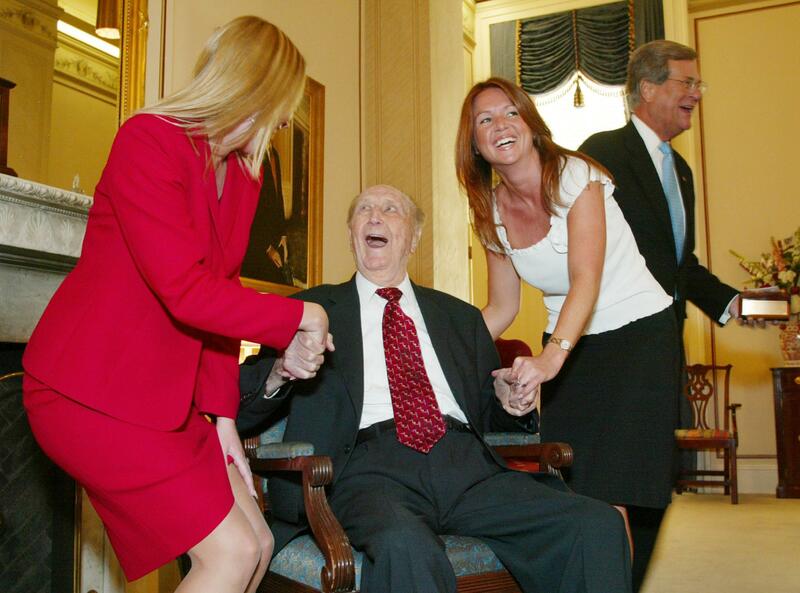 Lindsey Graham, Strom Thurmond: Jokes. Strom Thurmond was a pro-segregation South Carolina senator who, despite never apologizing for his various abhorrently racist public statements (i.e. “there’s not enough troops in the Army to force the Southern people to break down segregation and admit the Nigra race into our theaters, into our swimming pools, into our homes, and into our churches”), is remembered fondly by many citizens of our great nation. Thurmond was also a notorious lech who, in the words of his New York Times obituary, was “known for fondling women in Senate elevators.” (That is actually the wording in his obituary.) He fathered his first child, whom he never publicly acknowledged, at age 22 with a 16-year-old black housekeeper. His last child was born when he was 74. As Roll Call notes, current South Carolina senator Lindsey Graham seems to have made a joke about Thurmond’s unquenchable sexual thirst at a recent subcommittee hearing. Sen. Thom Tillis, R-N.C., asked Graham during a hearing if he was “working on grandchildren.” The Republican felt the need to invoke the colorful legacy of his fellow South Carolinian in his response. It is never time for anyone to “get started” acting like Strom Thurmond.